Introduction/ Background: The PACE PPG plans to submit their proposal in time for the Delegates’ meeting in 2012. Recommendations/Actions and Justification: EXCOM are asked to approve progress with planning and to make recommendations/suggestions as appropriate. 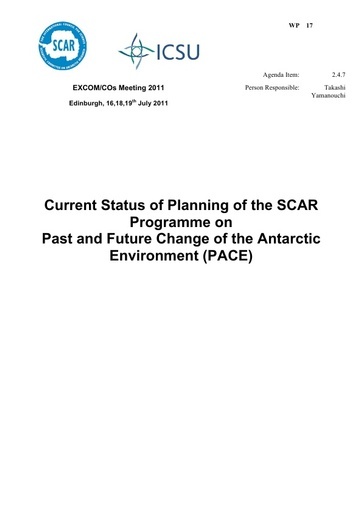 Partners: IPCC, other SCAR SRPs and PPGs, ACCE Expert group etc.